You know me, I fargin anybody a good time. Really, I do. Especially if Chabad is the host and we can squeeze some positive PR out of this. Yet, in these trying economic times, when most people are uncertain of the future, there seems to be a new consciousness, people don't want to seem like they don't care. At least most people. Democrats and the Hollywood types have no problem saying one thing and doing another, but most people want to seem as if they care, even if they have no worries of their own and could afford to live as normal. We all remember the bailout hearings where the CEO's of the big 3 auto companies were laughed off of Capitol Hill because they arrived at the hearings in their private jets. People like it when they think that you care about their financial problems, it makes them feel as if they're important to the people that matter. The same can be said about vacations to exotic locales; if you're struggling to make ends meet, and then you see that some people have no problem taking weeks off and never bat an eyelash, all of a sudden you begin to resent them. You may think that it's me and my "hate" for anything not Lubavitch, but really, it's not. I asked several non-Lubavitchers and I got the same answer: "It looks like no recession there." I also have the utmost respect for Reb Aron of Satmar. 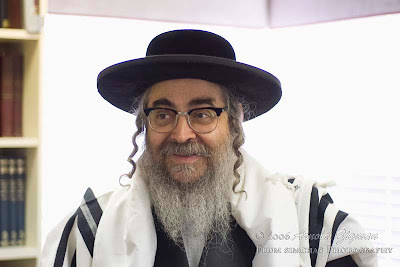 I think he's a trailblazing Rebbe, one who utilizes most of his time to help people, it's just that there seems to be the most pictures of him available, not of the others. I guess his people see it as some kind of chashivus, the fact that he's resting up in California. Truthfully, if anybody needs a vacation today it's him, but what's up with the Pupener Rebbe? וואס דארף ער זיך אזוי אפרוהען? Maybe every Baal Mishpoche should be given an all expenses paid trip to his choice of Miami or Palm Springs to rest his weary bones? Instead the Yeshivos go after you for doing what the leaders do and teach us to do! They charge you more for going on vacation since its disposable income in their opinion. What gives? And remember that our nesi'im also used to go on datche, there was the famous trip to Yalta, the many trips to Mentone, Paris, the various spas, etc. Only our Rebbe was mechadesh a derech of never taking a day off, and never going anywhere. So I think you're off base here, Tzig. But I think that the Rebbe was MECHAYEV all other Gutte Yidden. Just my silly opinion. And I'm not speaking as a Lubavitcher. Whats up with the Viener Rov of Williamsburg, he doesn't even have a Yeshiva barley a minyon whats he resting from? When you're a manhig of klal yisroel, you need to get out of your daled amos. Think of it as "hamelech basodeh", when the Rebbe is more accessible to the masses, and can be asked a personal question without 50 people and a WOL camera recording the moment. WADR, there are halachos in Shulchan Aruch that apply specifically to times when people lack enough food. Excuses about everyone needing a little relaxation and/or recreation now and then don't fly. I don't think its the money that bothers me or even our host. Its the attitute of relaxation. Reb Elchonon HAYAD wrote that a Yid has no spare time. His time is his most valuable posession and he needs to use that for Tore and Good deeds. So why the need for opruh , opruhen from what? As hebrew calls it chofesh - freedom from what Mitzvoth ? Yes the rebbes keep up the show even on vacation, but can that be said for others too ? The elderly sick etc (depressed) need a vacation , but just to get away ... from who (the wife ? the chassidim ? then what is his a Summer rebbe ?) from what ?I will give these guys credit at least they are not vacationing in Austria and other places in Europe full of Jewish blood like some other Israeli rebbes. The more pictures I see of Rebbes in action , I have to admit that Chassiduth and Rebbeshaft ended in 1994. First of all. thanks for hosting and moderating this popular blog, I enjoy every post and read most comments, keep it up with pride and respect for others! 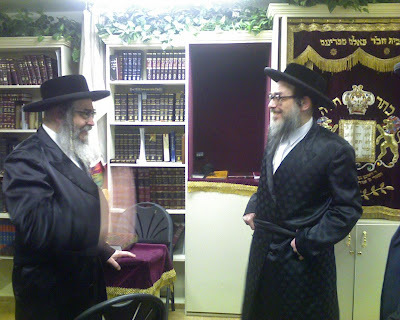 On the Rebbe Vacation topic, I can only add as a Satmarer Chosid that the Satmar Rebbe (RA) takes vacation twice a year where he pays for his Chavrusa from Kollel going back some 30 years, Harav Undsdorpher from Montreal to join him where they spend most of the day Al Hatorah V'al Ha'avodah. Every person is entitled for a vacation and time out, especially one whoe serves the public in a fashion very little of us do, these Super Officials work under extreme pressure and give away for the public not only thier time but thier heart and soul. From serving thier own comunities to helping international organizations across the world, the only way they can succed is if they get some rest. Let's keep things in perspective! does a vacation in the "exotic" Chabad House in Palm Springs sound anything near a private jet to a bailout hearing? come on. BTW the Satmar Rebbe was very impressed from the Shluach in Palm Springs, he was invited to KJ, Monroe last year to spend a Shabbos, and a Tea Party was held there to raise funds for his causes. And as far I know, the Rebbe helped raise funds for the bailout of Rubashkin after they got to know each other when the Rebbe traveled to Postville to see the operations of the plant and its Kashrus Standards in an effort to raise the Stanrds and perhaps switch the Satmar Beef to the Rubaskin plant. In either case, I wish the Rebbe a nice time in PS and hope to see him back with fresh Kochos to continue his efforts for all of us. Makes me sick. Goes with $250,000 Menorahs. 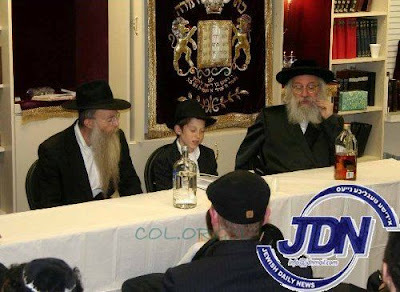 At least this Satmar Rebbe doesn't have a (alleged) child moleseter serving as Menahal in his Moisad! Shneur, what you quote from R Elchonon is all very well, and indeed we saw that our Rebbe never took a day off, and never went anywhere. But that's not a normal way. Even lehavdil the US president needs time off; that's why there's a Camp David for the weekends, and why they spend so much time at their private homes or those of their friends. And so we saw will almost all rebbes, including our own nesi'im, up to and including the Frierdiker Rebbe. LkwdGuy, boruch Hashem we are very far away from times when those halochos apply, and may Hashem keep us far away. There is no famine, nobody is starving. Yidden have problems with parnossoh, but even an oriman today is far better off than a gvir 150 years ago. "Chosid" and "Satmar chosid" are right. Move along, there's nothing to see here. These are not the parasites you're looking for. If I am not mistaking there are photos of Reb Elchonon in Dacha circulating. Our Tzig could probably locate it. My grandfather used to say on his Rebbe that ran himself with no faculty a yeshiva of close to 400 boys, that if he will not take his 2 weeks off, he will become a am horetz, and their he wrote most of his Teshuvos. The Rebbe Reshab was a very frail person from young age, and a big part of his deep Chasidic thesis he wrote out of town, so he was a unique case. I hear from Satmar yeshiva talmidim that their rebbe Reb Aharon - sits and learns in teh yeshiva gedola building all day. How many rebbes - even those with far smaller flocks - do this? I for one fargin him his vacation - where again all he does is sit and learn. Last week R' Aaron came to LA for one night to visit some people. I was impressed that considering his weddings, 21 kislev seudas, etc., how simple he travelled. He had one bochur with him, and upon exiting the mikva in the morning, he asked a buddy of mine to drive him to the cheder for shachris. He seemed to be playing it down, no grand showings. Truth be said, it is not expensive at all. 3 tickets ($300 each), a eltere hungarian loans him a condo, and that's about it for costs. I'm well aware of that but did not mention it for privacy reasons. I've personally helped YG and his wife with some issues here, and he's a fine yungerman who should have a refuah shleimah bimheira biyomeinu. how long can one play it until they will find their win? Papa rav won the game against his brother. So will Satmar. Ain Sofah L'hiskayam. If it's ShElo L'shem shamayim. So it will end. 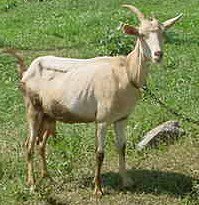 Farm Animals - all of you! "אבי אבי רכב ישראל ופרשיו"